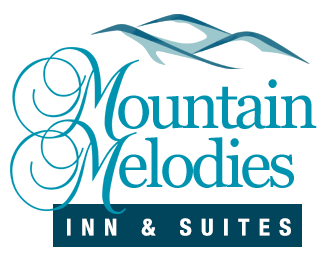 Although Mountain Melodies is already known as the most affordable hotel in Pigeon Forge, we offer a variety of excellent special hotel deals and discounts that save you even more money! By taking advantage of these incredible cost savings, you have more in your vacation budget to spend on the shows, attractions and restaurants that have made Pigeon Forge a “must-see” destination. Our great specials might even tempt you to stay an extra night or two, which means more time to experience the magic of the Great Smoky Mountains! Guests of Mountain Melodies enjoy a FREE breakfast on each day of their stay, making our hotel a tremendous value for couples, families and groups! Stop by our breakfast room every morning to fill up on a delicious variety of breakfast items before starting your busy day in Pigeon Forge. This saves a significant amount of money from dining out at restaurants, not to mention precious time savings when you just want to get up and go! Our Pigeon Forge hotel offers a seasonal outdoor pool and hot tub that our guests love during the summer months. You can cool off in the afternoon with a refreshing swim in the pool or relax poolside as you work on your tan… the choice is yours! The hot tub is also a delightful amenity where you can soak your bones after a day of exploring Great Smoky Mountains National Park or walking around Dollywood. Whether you are traveling with your spouse, kids, or a group of friends, you will love our swimming pool and hot tub! 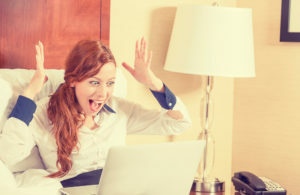 We know that it is important to stay connected, so we are pleased to offer free wireless Internet access throughout your vacation! This allows you to keep updated on the latest weather forecasts, check attraction hours, purchase show tickets and more. You can also keep in touch with your friends back home to let them know how much fun you are having at Mountain Melodies! Our hotel rooms in Pigeon Forge make your stay at Mountain Melodies a highlight of your vacation! This is because we offer a range of fantastic room amenities, ranging from Jacuzzi tubs and fireplaces to private balconies. There is also a mini-refrigerator in each room so that you can conveniently store your beverages without having to fill a cooler up at the ice machine. Be sure to check out our Pigeon Forge hotel rooms to book your vacation today, and come see for yourself why Mountain Melodies is the best Pigeon Forge hotel deal around!